Without the Canonical ID, we cannot make YOU the owner of the image. 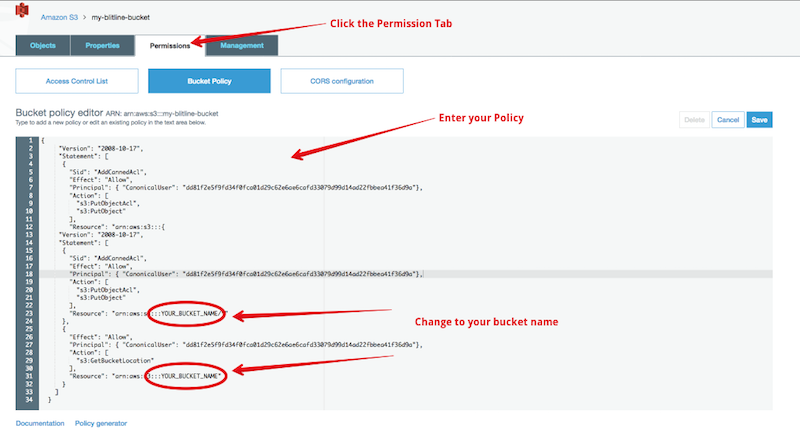 Even though it is in your bucket, Blitline will still be the owner of the object and you will not be able to do anything to it (such as rename, or re-permission) and your only option will be to copy it somewhere, thus making you the owner of the copy. SO, make sure you set the Canonical ID! 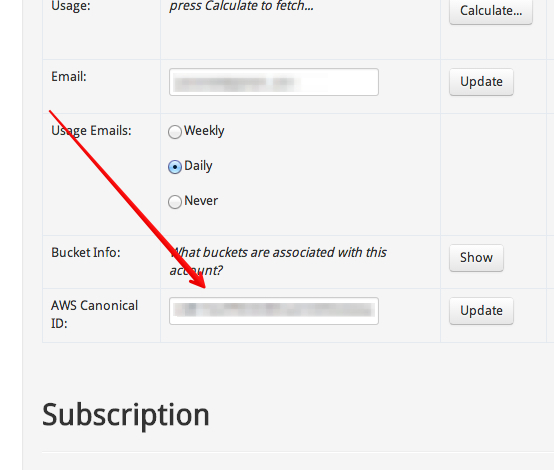 Copy and paste this into the Blitline.com homepage Canonical ID section, and click the Update button. Here is a full example of a Blitline job which pushes the results to an S3 object. Blitline uses file extensions to guess what file types are desired for output. Sometimes, though, these extensions do no exist or are not easily discernable from the key. To accomodate this, we have an additional modifier to the “s3_destination” that allows you to set the output filetype without using an extension. “x-amz-acl” makes it publicly readable. “x-amz-grant-read” makes it publicly readable. Which will remove any read permissions from the object.